So you’ve got a trip coming up and you’re hoping to meet some new women while you’re away. But how can you navigate a new place and get girls at the same time? Dating while on vacation actually gives you a lot more options than you’d expect. Here are a few tips to follow to stay safe and have fun while you’re dating on vacation. Finding other travellers is the easiest way to date while on vacation. 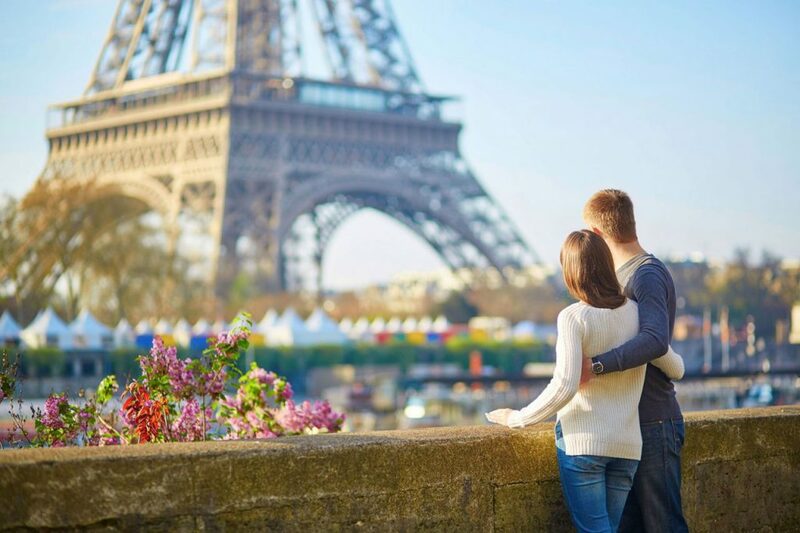 Dating another tourist might not be as exciting as getting with a local but you have quite a few advantages. Chances are you two share similar interests and values since you both decided to travel here, now. Plus, you’re both in a brand new place looking for things to do and people to hang out with. If you’re staying in a hostel, talk to your neighbours and find out what they have planned for their trip. Go to the typical tourist spots and strike up friendly conversations. Popular bars and restaurants are great places to get started. Wearing your country’s flag on your backpack isn’t just a good way to show national pride. It also tells girls that you’re different. It sparks conversation because it gives her something to comment on. The exotic foreigner is a classic romantic trope. It lends you an air of mystery and excitement without you having to do anything at all. Tell her how things are different where you come from. Pretty soon she’ll be wondering what else you have to offer that’s different. If you’re travelling with a group of friends then you’re in luck. When it comes to dating abroad, the more the merrier. Invite girls along on your excursions and tell them to bring their friends. This is a great way to create an environment of fun and excitement. It’s also much less intimidating than going out one-on-one, for both of you. There are whole industries built around taking money from tourists, sometimes right out of their pockets. So be wary of any women that approach you on the street and seem overly eager. Don’t go with someone to another location without getting to know them first. And keep an eye on your possessions, your money and your hotel keys. If you’re visiting somewhere where you don’t speak the language, do your best to learn a few phrases. Don’t worry about being perfect. The fact that you’re making the effort will set you apart from other tourists. Plus, it can be very cute to see a guy stumble through broken Spanish, like watching a puppy learning to walk. This is your chance to be romantic and forward without worrying about coming off as clingy. Since she knows you’re just in town for a little bit, it’ll free you both to be more spontaneous. So offer to take her out to dinner right away and when she says yes, don’t be afraid to show up with flowers and sweep her off her feet. This is a line that always beats “Let’s get a drink sometime”. This shows a woman that you’re interested in what she has to say, it gets her talking, and it gives you a great opening to ask her out. Tinder Plus has a unique feature that can help you get vacation dates before you’ve even booked your tickets. For a small monthly fee you can match with people in different cities. That way you can start laying the groundwork now and when you finally meet it’ll be even more exciting. The thing about dating abroad is that your type, your age, and your job aren’t big factors like they are at home. Since you know it’s just a short term thing, be more open to dating different types of women and trying new things. That’s what travelling is all about. Thanks Robert! There’s a lot of free dating apps/sites that you can try out there. You just have to do a little digging and see what’s popular in your area. Tinder’s pretty much the go-to app for dating and it’s totally free to download.